The goals of our joint US/UK interdisciplinary effort are to investigate and model the neural mechanisms underlying multisensory processing and decision making and to design closed-loop adaptive algorithms for optimized exploitation of multisensory data for brain-computer communication. We are motivated by the observation that in performing many tasks, such as flying an airplane, an operator has to make decisions in time-pressured and stressful conditions based on a multiplicity of multisensory information presented in cluttered and distracting environments. We envision a closed-loop brain-computer interface (BCI) architecture for enhancing decision accuracy. Our effort consists of both computational and experimental components. The computational component of our effort spans Bayesian inference, stochastic control, adaptive signal processing, and machine learning. The experimental component of our effort validates our computational models and algorithms using state-of-the-art neurophysiology. G Denevi, C Ciliberto, D Stamos, M Pontil, “Learning to Learn Around A Common Mean”, NIPS, 2018. Pesaran B, Vinck M, Einevoll GT, Sirota A, Fries P, Siegel M, Truccolo W, Schroeder CE, Srinivasan R., “Investigating large-scale brain dynamics using field potential recordings: analysis and interpretation”, Nature Neuroscience, 21(7): 903-919, Jul. 2018. Hsieh H., Shanechi M. M., “Optimizing the Learning Rate for Adaptive Estimation of Neural Encoding Models”, PLoS Computational Biology 14(5): e1006168, May 2018. Our second annual meeting will be held at USC Feb. 12-14, 2019. This meeting will be held jointly with the kick-off meeting of our new US-UK BARI program announced here. Our first annual meeting will be held at UCL on Feb. 21-22, 2018. Tentative agenda is here. 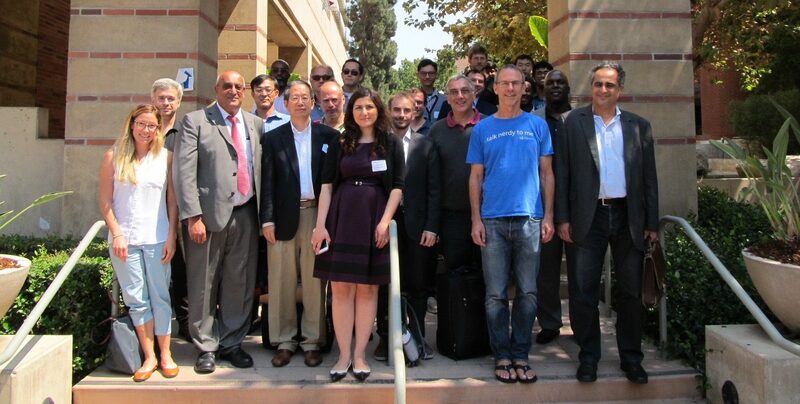 We held our joint US/UK MURI kick-off meeting at USC with participation from academia, DoD labs, and UK MoD. Our program is now officially launched. Our project is highlighted in USC news. Read more: USC news here , Viterbi news here, Press release here. We are awarded a joint US/UK multidisciplinary MURI grant to lead a multi-institutional collaboration that aims to build brain-machine interfaces for enhanced decision accuracy. We are grateful for the support from the US ARO and from the UK MoD.